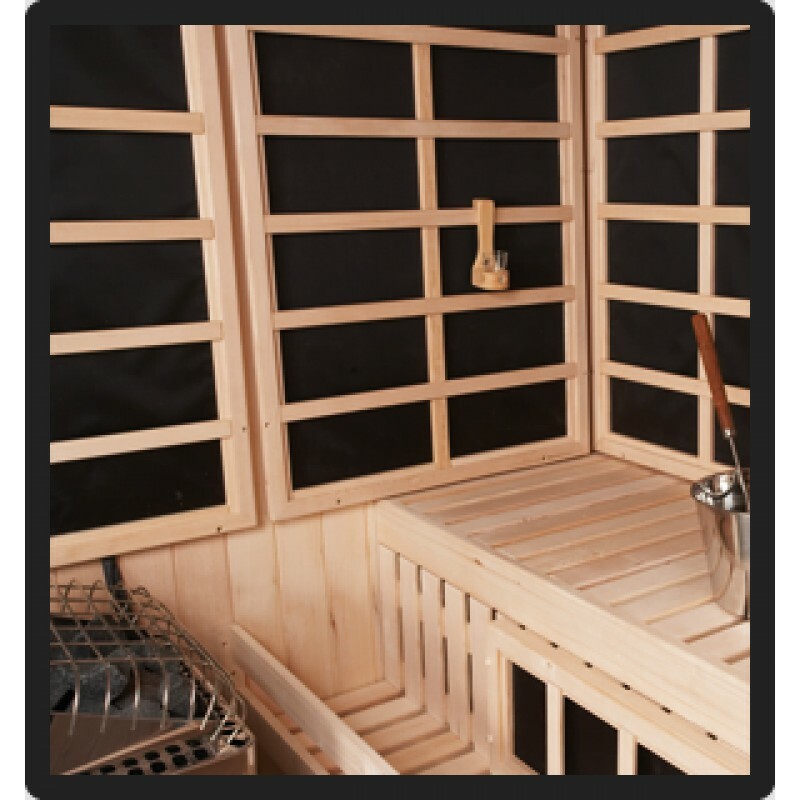 Includes Western Red Cedar (standard) interior/exterior, the IS system and heater, SaunaLogic control and contactor, rocks, stainless steel bucket and ladle, wall mount light, duckboard for walk area, headrest for each top bench, and heater guard rail. Benches are pre-assembled. All glass bronze tint door is standard (24" x 72" for most rooms), and pre-hung into one of the wall panels. IS system is pre-installed.